The Internet is full of simulation farming games. These games attract a wide demographic of people. Not only do these games appeal to the young but also to the young at heart. One of the most popular games that can be found on the Internet these days is the farming game, Hay Day. 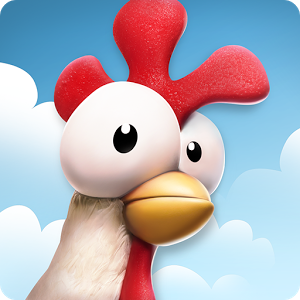 Hay Day is a game where the player has the opportunity to create and grow their own small farming community of their very own. Many users also use Hay Day cheats to receive some extra resources. Hay Day’s farming community offers the player a unique look into the life of farming. The developers have done a wonderful job in creating a true to life farming experience. The graphics in the game stand out above all the competition’s graphics and offers players numerous opportunities to grow farm animals and crops to create a unique farm of their own. The game is extremely easy to play but also offers a challenge as the farmer works his way through all the challenges. This game can be played with neighbors who are willing to help the farmer out to complete their level challenges, but it does not depend on having neighbors to complete these challenges as some of their competition requires. It is completely up to the player if they choose to farm on their own or become part of a bigger community. The developers of Hay Day are constantly tweaking their game to improve the gaming experience for all users. The game now offers players the opportunity to upgrade their production facilities, purchase different kinds of animals to produce unique materials need to craft products and numerous types of crops to give the farmer a wide variety of ingredients in which to create unique foods. One of the unique features of the game would be that the developers now offer the farmer the opportunity to go fishing as well as farming. The game is completely free to download on to a device of your choice. There is an opportunity to purchase items and upgrades if the user so chooses but if they want to play a free game in it’s entirety, this game is capable of delivering this as well. Hay Day can be played on Apple as well as any Android device. If the player has any problems or concerns, help is just a click away. The developers of this game have tried to make this game as user friendly as possible and welcome any and all comments, concerns and questions from their users. They take all concerns and questions seriously and have even set up a forum where a player can join up to get helpful tips and advice from other players. So if you’ve been searching for a fun, unique and free farming game to while away some time, Hay Day is truly a game you are going to want to try out. The more you play, the bigger and better your farm will get which will entice you play even more to develop your own, unique, one of a kind farm.